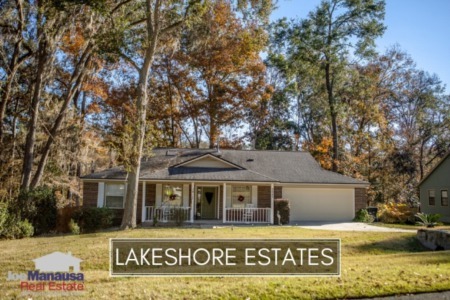 Rosehill is a luxury homes neighborhood located in NE Tallahassee. 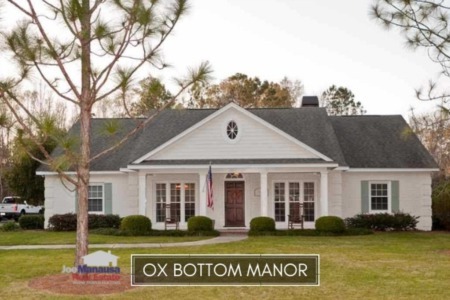 As one of a handful of gated communities in town, you will want to gain access and drive around the pond to see the more than 80 large estates that often sell for more than $1M. The following list of homes and lots show all current, active listings in Rosehill. If nothing is shown below, it means that there are no active listings in Rosehill (and our information is updated every 15 minutes). Our report also includes all graphs that compute trends for home prices, home values and home sizes. Additionally, we have included a table of all home sales in Rosehill going back to 1991. It is important to note that the narrative contained below is for sales through December for all previous years, but through the first week of April in 2018. The graphs and the closed sales table will be continuously updated into the future (meaning bookmark this page if you always want to know the current status of homes for sale in Rosehill). Home prices in Rosehill fluctuate greatly due to the few number of sales each year, combined with the wide range of offerings that you will find in this luxury home community. The average price of a home sold in Rosehill in 2017 was $828,000. Activity in Rosehill is "pretty good." With five homes sold last year, it equalled 2012 as the best year since 2005. As with all high end homes, its is imperative that sellers get the word out to ALL potential buyers as there remain far more high-end homes for sale than high end homebuyers. Just as we noted above, the relatively few sales each year cause great fluctuations in "averages," and values have bounced around accordingly. The average value of a home sold in Rosehill last year was $148 per square foot. This metric on its own tells us nothing, as the relative age of homes that sold combined with whether or not they have lake frontage will have a significant impact on their value. 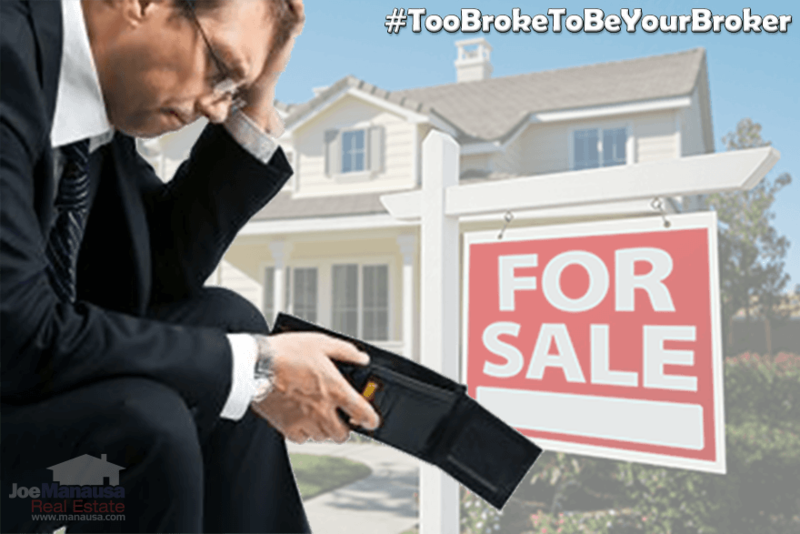 Whether selling a home in Rosehill or contemplating buying one there, it is imperative that you work with a highly knowledgeable agent or you might very well miss an accurate valuation in today's market conditions. Rosehill has a wide range of home sizes, but you will typically find them to be from 3,500 to 6,500 square feet of heated and cooled space. As there have been no home sales in Rosehill in 2018, we'll say that the most recent sales have averaged 5,678 square feet. The following list shows the most recent home sales in Rosehill. 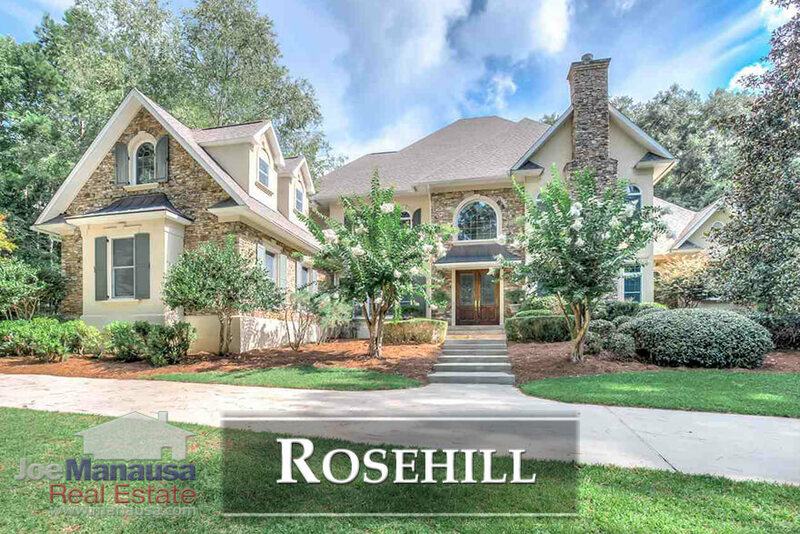 This concludes our April 2018 update on home sales in Rosehill, please give us a call at (850) 366-8917 or drop us a note if you have questions about this popular luxury neighborhood in Northeast Tallahassee. If you are curious about what our customers say about working with Joe Manausa Real Estate, you can see their reviews from Google, Facebook and Zillow right here: http://www.manausa.com/testimonials.